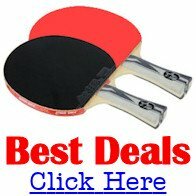 Whenever you need to buy table tennis equipment you'll find that you're faced with a bewildering array of choices, so it can be very difficult to determine which equipment is right for YOU. So before you buy anything, it helps if you know what characteristics you should look for, and/or which questions you need to ask. 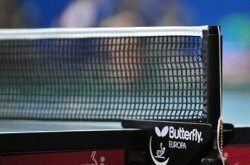 Because even though you can buy a wide variety of good quality table tennis equipment from a wide range of suppliers, it may not be suitable for YOU. So what can you do if you don't know what to look for? Well, table tennis has been my passion since 1971 and during that time I've built up a wealth of knowledge which I'd like to share with you. So whatever equipment you're looking for, let me guide you through the multitude of choices you'll encounter. After all ... you don't want to make an expensive mistake! Do you need to buy expensive equipment? The type of table tennis equipment you'll need to buy depends upon your standard of play. Basically, the higher your standard of play, the better the equipment you'll need to buy. But if you're a beginner, you can start playing table tennis using very simple and inexpensive equipment. I started playing table tennis using very cheap rackets and balls from our local sports store and played on a home-made table that was about two thirds the size of a regular table in our dad's garage. And when it was too cold to play in the garage, my sister and I used to convert the dining table in our parents' kitchen into a table tennis table - with hardback books lined up across the middle of the table for our net. But the more I played, the more I improved, so I started using better quality equipment. 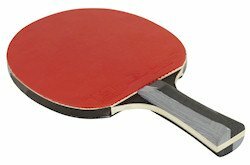 Many general sports stores sell a selection of basic and inexpensive table tennis equipment - but if you're serious about this great sport of ours, you'll need to seek out better equipment from the specialist suppliers. To start playing table tennis, the minimum you'll need is a racket, a supply of table tennis balls and a table tennis table. But as your standard of play improves beyond a beginner's level, there's a vast array of other equipment you'll want to buy. First you'll need some suitable table tennis clothing - a table tennis shirt, shorts or skirt - together with table tennis shoes. And if you're setting up a club you'll also need other accessories such as barriers, scoring machines and possibly a robot (ball launcher) and a good quality floor covering. Your choice of table tennis racket is one of the most important decisions you'll make. You see, how you develop as a player will be determined by your choice of racket, so it's important to choose one that will complement your style of play. And you may also be interested in... How the table tennis racket has changed over the years. 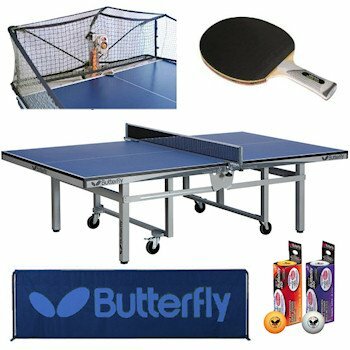 If you're considering buying a table tennis table - whether it's a top quality table or just a cheap table at a discount store - there are a number of items you'll need to consider. Do you need an indoor or outdoor table? Some table tennis tables have nets included, but others don't. Also, nets can become worn or broken and will need to be replaced. Check out my top tips on how to choose your ideal table tennis net here. 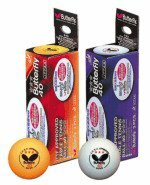 Table tennis balls are available in many different varieties so it's important that you know what to look for before choosing which ones you should buy. A good pair of table tennis shoes are essential equipment. You'll want to look smart, so some good table tennis clothing is essential. Check back soon for my top tips on how to choose your ideal table tennis clothing. 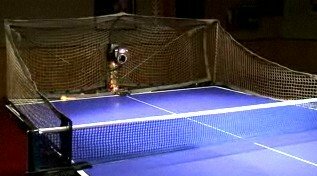 Check out my guide on table tennis robots.